Larry Pino (Laurence J. Pino) is the Founder and CEO of Tuscan Gardens®. Larry conceptualized Tuscan Gardens® in mid-2010 as he was trying to figure out how to balance the economic cost of keeping his mom with 24/7 care, at home, while at the same time, honoring the personal, cultural and family values which would come from selecting the right community in which his mom could live. Unsuccessful in finding any place he felt was worthy of his mother, Larry began asking the fundamental question: “What would it have to look like for me to be willing to put my own mother in it?” That seminal question, burnished over several years, evolved into Tuscan Gardens® as a brick and mortar real estate and business opportunity. That process of late also resulted in Larry writing a best-selling book, Reinventing Senior Living: The Art of Living With Purpose, Passion & Joy®, currently available on Amazon and Barnes and Noble. Prior to founding the company, Larry was the Founder and CEO of a private equity development and management company focused on starting, developing and growing business enterprises. He has served as Chairman or Board Member for many of those investments. An Avvo rated attorney, Larry is a commercial litigation attorney specializing in business and investment law at Pino Nicholson PLLC. He graduated with a Bachelor’s Degree from the University of Notre Dame and a J.D. degree from New York University Law School. He has received Certificates of Study from the University of Madrid, L’Alliance Francaise in Paris, and the Centro Linquistico Italiano dante alighieri in Rome. Subsequently, he was admitted to practice law and is in good standing as a member of the bars in Florida, New York, and California, as well as in various federal courts across the country. Larry is passionate about education. He currently teaches a course as an Adjunct Professor on Rapid Enterprise Development for the Hamilton Holt School at Rollins College in Winter Park, Florida, and he is pursuing a Doctorate in Business Administration at the Warrington College of Business at the University of Florida. In the last 30 years, Larry has conducted some 5,500 speaking engagements, speaking to over one million people and appearing on 140 radio and television talk shows. 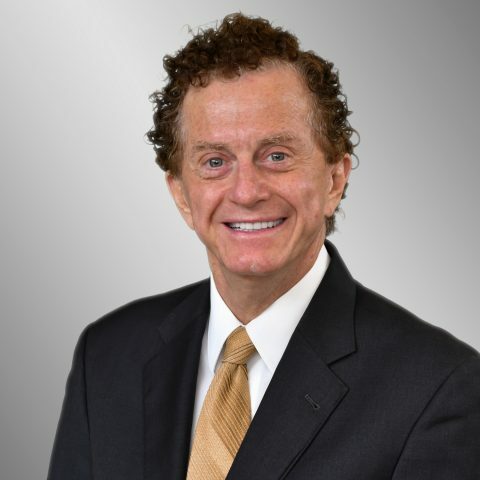 Larry has authored twelve books including among others: Finding Your Niche (Berkley-Putnam Publishing), Finding Your E-Niche, The Desktop Lawyer, Cash In On Cash Flow (Simon & Schuster), and Reinventing Senior Living: The Art of Living With Purpose, Passion & Joy® (Impact Publishing). He also co-authored Morphing: Radical Evolution for Revolutionary Times with Dr. Craig McAllaster, retired Acting President Emeritus of Rollins College. Larry is passionately committed to his family: his wife of almost 25 years, Janet, and his three sweethearts – Jordan, Jared and Isabella.